Spirax-Sarco steam control valve (main valve only) for pressure and temperature, model 25, with a 3" flanged connection and a 300 psi maximum operating pressure for use in combination with a 25P pressure pilot, 25T temperature pilot, 25PT both, or other pilots that are air actuated, electric, or back-pressure. Order pilot separately dependent upon pressure range requirements. 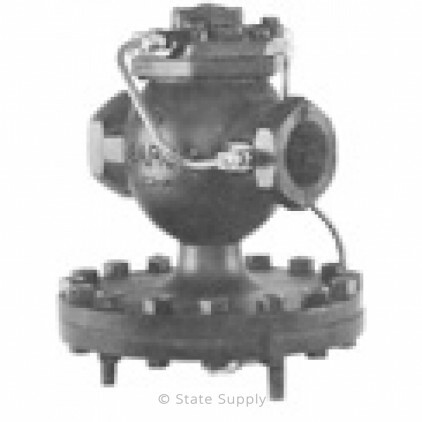 Spirax-Sarco cast iron main valves in combination with various type pilots can regulate pressure, temperature, both, or back-pressure by means of self-actuation, electric, or air pressure pilots. 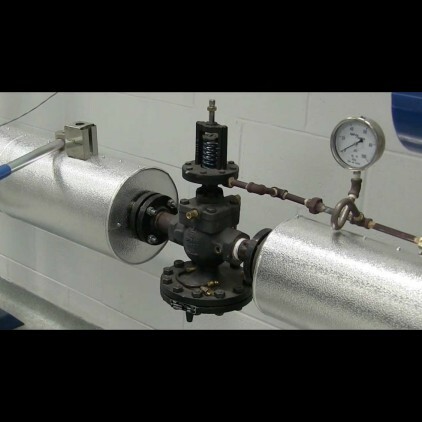 Pressure regulators reduce steam from a high pressure supply to the operating pressure of the equipment. Temperature or combination pressure and temperature regulate temperature in storage water heaters, heat exchangers, air handling coils, tank heating coils, and other temperature control applications where it is necessary to set upper limits on the delivered steam pressure. For nearly a century, Spirax-Sarco has specialized in steam and pump technology and providing engineered solutions for the design, maintenance, and operation of industrial and commercial steam systems. Among the solutions Spirax-Sarco offers are steam traps, pressure and temperature control valves, condensate recovery pumps, strainers, separators, humidifiers, flow meters, boiler controls, prefabricated trap manifolds, and heat transfer and recovery packages. Spirax-Sarco products are used in a variety of process industries, including beverages and brewing, pharmaceuticals, oil and petrochemicals, chemicals, mining and metals processing, plastics, and textiles.